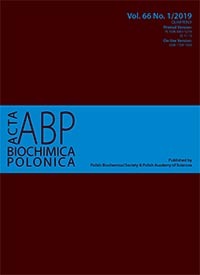 In this publication we present a fast method of diagnosing the most common polymorphisms of BRCA1 and BRCA2 genes in Poland – C61G [c.300T>G], C64R [c.190T>C], 4153delA [c.4035delA], 3819del5 [c.3700_3704delGTAAA], and C5972T [c.5744C>T]. Our procedure is based on the use of the cleaved amplified polymorphic sequences (CAPS) and artificially created restriction site (ACRS) PCR techniques. The precise selection of appropriate primer sequences and restriction enzymes enabled specific cuts of DNA fragments. The final quantity and size of the obtained products depend on the presence or the absence of the mutations. The obtained results are unambiguous and do not have to be confirmed by sequencing. The methods of detection of the C61G, C64R, 4153delA, 3819del5, and C5972T mutations in the BRCA1 and BRCA2 genes described by us do not require a sequencing process, which is more expensive, time-consuming and associated with numerous errors. The technique developed by us enables the use of simple electrophoresis for accurate detection of the presence or absence of a specific mutation. Our procedures are fast, precise and unambiguous.